Food shortening is a solid fat made of hydrogenated vegetable oils. 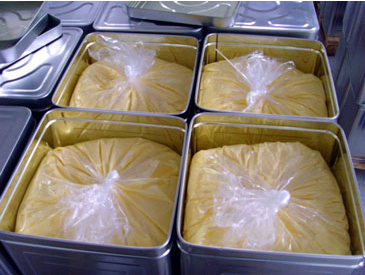 It is widely used in many bakeries and food production facilities as a cooking ingredient. It is commonly used for making breads, cookies, cakes, pies, pastries, and much more. It is often provided to high production commercial bakeries in a solid bulk form contained in bag-in-box containers. At room temperature, the shortening is a solid and difficult to process through pipe and tube systems on production lines. At an elevated temperature the shortening softens therefore reducing its viscosity and allowing it to flow efficiently and pass through production lines. Keeping the shortening warm through the production process is a critical step to ensure the shortening doesn’t solidify and cause blockages and costly downtime. Install BriskHeat BS0 silicone rubber heating tapes onto pipe and tubing systems that transfer food shortenings. These tapes provide the necessary heat to maintain a reliable temperature needed to prevent the shortening from solidifying. They are extremely flexible to easily wrap around small diameter pipes and tubes. 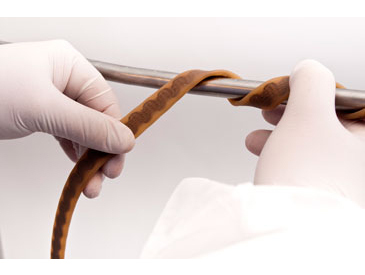 The heating element is encapsulated within a highly flexible silicone rubber, which increases its durability and makes it suitable for use in food-service environment. The tapes are connected to a temperature controller used to program and monitored heat output. BS0 tapes are an ideal solution for keeping the shortening liquefied and production lines operational. Note: The storage vessel/tank that attaches to the transfer pipe system may also need to be heated to initially melt the shortening. SRL silicone heaters are perfect for this application. One heater or a series of heaters can be attached to the outside of the tank to provide the necessary heat. 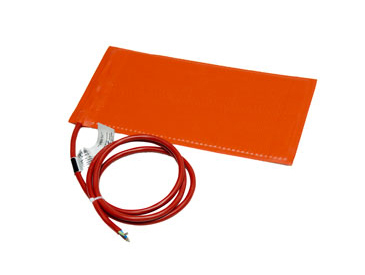 Silicone heaters are thin, flexible, and durable heaters that are easily applied using an adhesive backing. Silicone rubber heating tapes can be used on many pipe-heating applications for freeze protection, temperature maintenance, and process control. The highly flexible heating element and durable silicone cover allow for BS0 heating tapes to flex and contour to nearly any size object that needs heat.